I would like to be able to say, “Welcome to the special 4th of July edition of Jazz For A Saturday Night,” except, well, there is nothing much about either this artist or his album that is connected to America’s holiday celebrating our independence from Britain. So instead, I will say welcome to what I hope will be an above-average review of an above-average collection of songs recorded by one of America’s greatest jazz masters, the late, great master of the Hammond B3 organ, Jimmy McGriff. McGriff has appeared here four times previously, beginning with JFASN #001 way back on August 13, 2011, when I discussed his album “The Dream Team.” Little did I realize that I would still be writing these things almost five years later! McGriff recorded a huge number of albums over the years, some on his own and some with Hank Crawford. The album I have chosen to tell you about this time ’round is one of his own, “Feelin’ It,” which was recorded on two different dates with two mostly different bands. “Feelin’ It” gives us eight songs, beginning with Stanley Turrentine’s “Stan’s Shuffle.” This is a wonderful, “feel good” song, opening with a quick blast from the whole crew and then settling down to Newman’s tenor sax and drummer Williams for a bit. Then guitarist Boyd takes over, and Williams is right there with him. All the while, of course, McGriff and his B3 is backing them up. Finally McGriff takes the lead and keeps it to the end. “Stan’s Shuffle” is followed by what has become one of the most ubiquitous songs in all of jazz, Paul Mitchell’s classic “Hard Times.” This is one of those songs that just reaches out and grabs you from the first note. I loved this version from the first note, and I think you will too. The title track, “Feelin’ It,” comes from the frenetic, fertile mind of the legendary Chuck Berry. I haven’t heard Berry performing this, but I suspect that McGriff’s version is somewhat less hectic than the rocker’s original. Regardless, it’s still a great song and not to be missed. Next we have the Miles Davis song “All Blues” which is, obviously, a nice little bluesy piece, quiet and beautiful. It carries you along on a cloud of notes that seem never to let up. The album closes with one of the two McGriff compositions on the disk, “City Lights.” This one has a nice cadence to it even though it opens with a weird sort of staccato thing from McGriff and Easley. That runs its course soon enough and then we have Easley front and center with some great playing. He turns it over to Boyd and the guitarist gives us some great licks before McGriff takes the lead. “City Lights” is another one of those songs whose infectious melody brings a smile to your face and just makes you feel good all over. 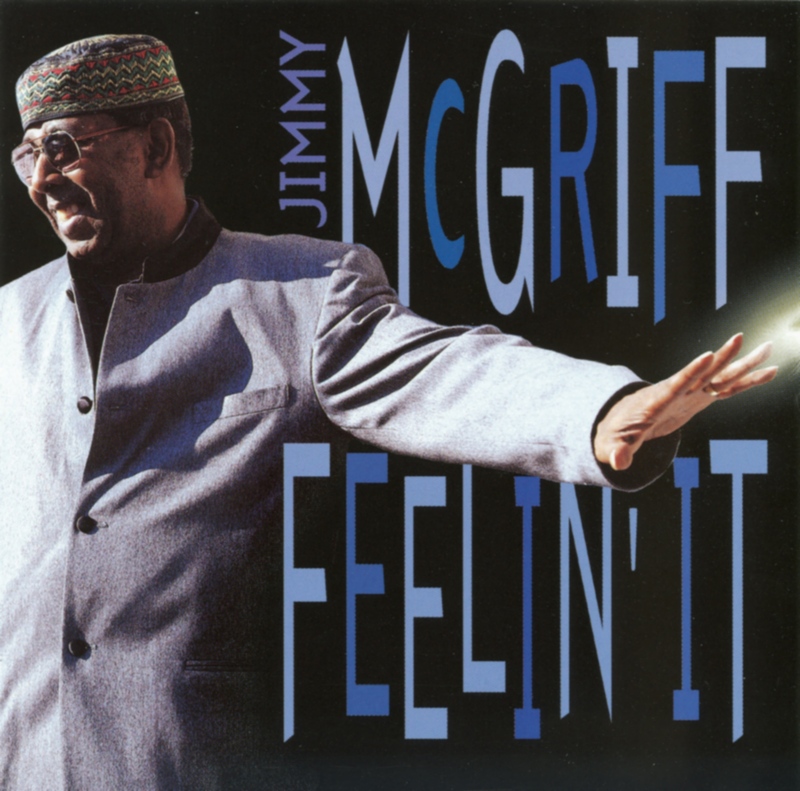 Overall, “Feelin’ It” from Jimmy McGriff is one of the best jazz albums ever recorded, and if you like the Hammond B3 organ you will definitely want to add this one to your personal playlist, for a Saturday or any other night! To learn more about Jimmy McGriff and his music, please see my earlier reviews detailed above for links and information.